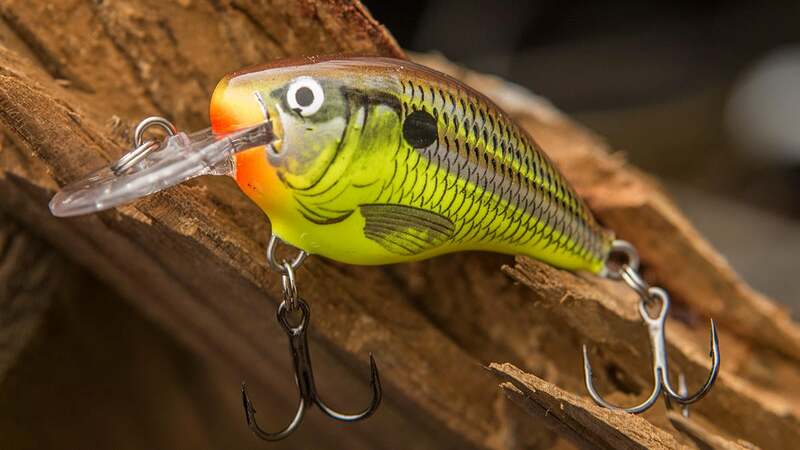 This bass fishing crankbait is a proven fish catcher in nearly every situation. If you're targeting shallow bass, you'll likely have success when you tie on a DT-4. 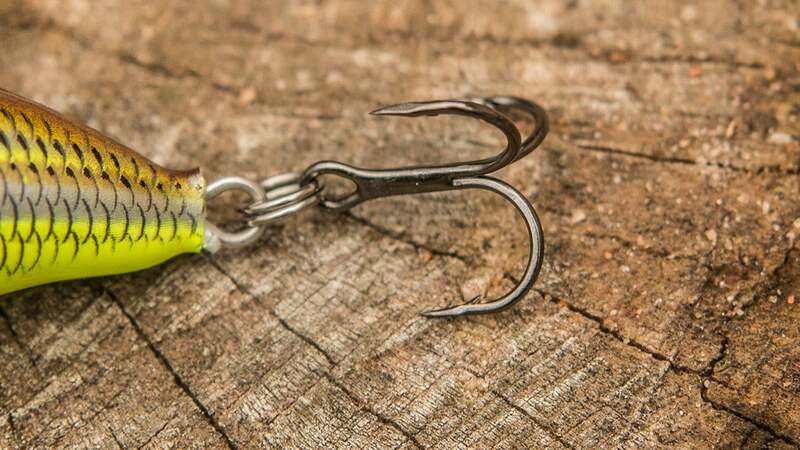 Here's what you should know about this very overlooked fishing lure. 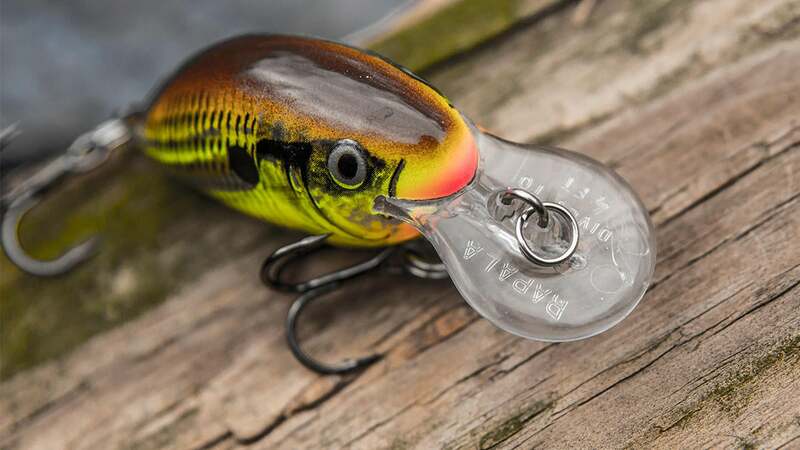 Although this crankbait is often overshadowed by its insanely popular "big brother", the DT-6, the Rapala DT-4 remains one of the most effective shallow-water crankbaits for bass fishing. On a long cast with 12-pound fluorocarbon, you can expect it to reach a depth of roughly 4 feet, but on most average casts, it seems to come closer to the 3-foot mark. Over the years, I've found it has been an excellent tool whenever I'm fishing shallow riprap, boat docks or flats. Its rounded bill allows it to deflect very nicely off of rocks, which results in very few snags and hang-ups throughout a day of fishing. Once you start fishing with this lure, you'll notice that very few bass swipe at it. The large majority of fish will inhale this lure which will drastically increase your landing percentage. This isn't a huge plug by any means, but that certainly doesn't mean that it won't catch big fish. For such a finesse-style crankbait, the DT-4 casts easily into a breeze and allows for accurate casts in tight quarters. 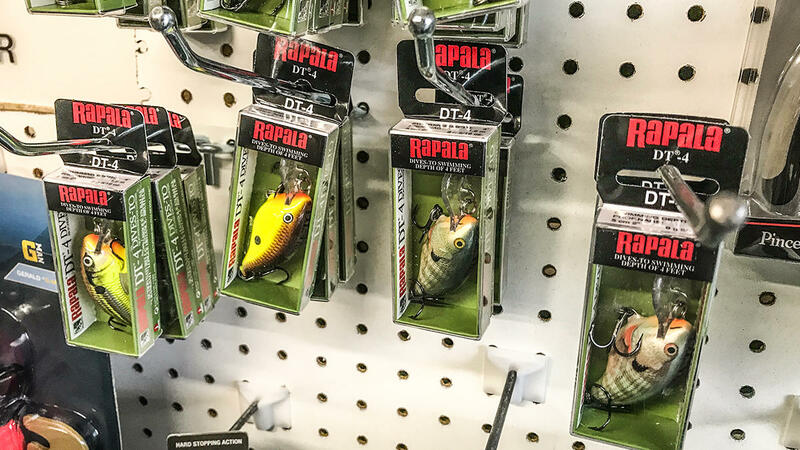 Durability-wise, it's much like the rest of the Rapala DT series. It can handle a lot of underwater abuse, but it's important to remember that it's a balsa lure, which makes it a bit more susceptible to carelessness. When you get grass or any other type of trash on your hooks, I don't recommend slapping this lure on the water's surface. If you can break yourself of that habit, you shouldn't have any issues regarding the durability of this lure. One of the reasons I keep buying the DT-4 is because of its quality components. From split rings to hooks, it's entirely ready to fish straight from the package. It comes with premium VMC treble hooks, so I have the utmost confidence in these crankbaits from the minute I buy them. Also worth noting, I can't remember a time when I bought a DT-4 that didn't run straight. I'm super picky when it comes to my crankbaits, but I honestly don't know if I've ever had to tune one of these. 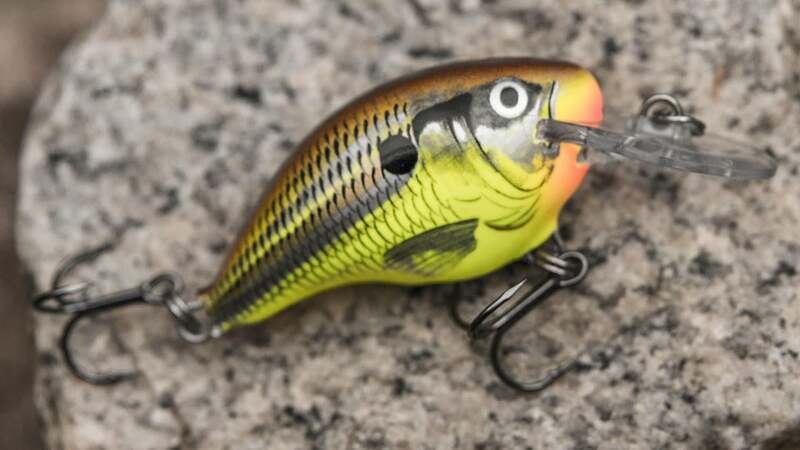 This is a very tight-wiggling crankbait; you'll be able to notice the difference on your first cast. But don't let the lack of a square-shaped bill fool you--the DT-4 rarely gets snagged. It dives quickly and does have that special "hunting" action we all look for and it glances off hard cover quite well. For this reason, it's one of my favorite crankbaits when I'm targeting rock or any type of riprap bank. Instead of fighting hang-ups, I can quickly and efficiently work my way down long stretches of riprap bank. While I've learned that you can throw the DT-4 on just about any tackle, I've actually designated a certain setup that I use just for my DT-4 fishing. Because I use this crankbait so often, this setup never leaves my boat. I use a 7-foot, medium-action casting rod with a soft tip, paired with a 6.4:1 baitcaster spooled with 12-pound fluorocarbon line. When the fishing gets tough, it's hard to beat that combination. As you can see in the photo above from my shop, I always have a healthy stock of DT-4 crankbaits available. If I'm lucky enough to run across them on sale, I stock up every chance I get because I wholly believe in their effectiveness. 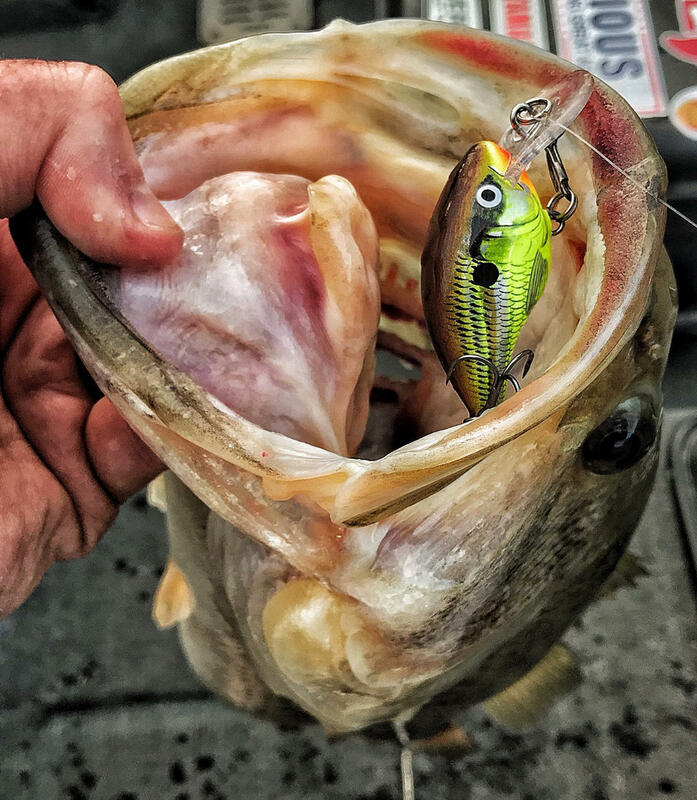 If you're looking for a potential remedy to moody bass and tough weather conditions, I'd strongly suggest taking a close look at this crankbait. I don't think you'll be disappointed. The Rapala DT-4 crankbait is available at TackleWarehouse.com.